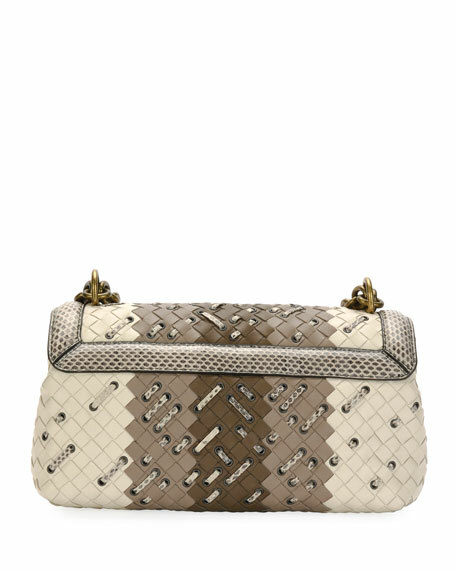 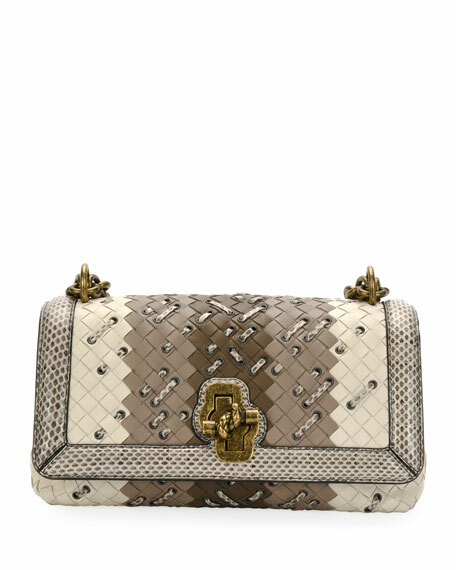 Bottega Veneta signature intrecciato woven leather and snakeskin clutch bag. 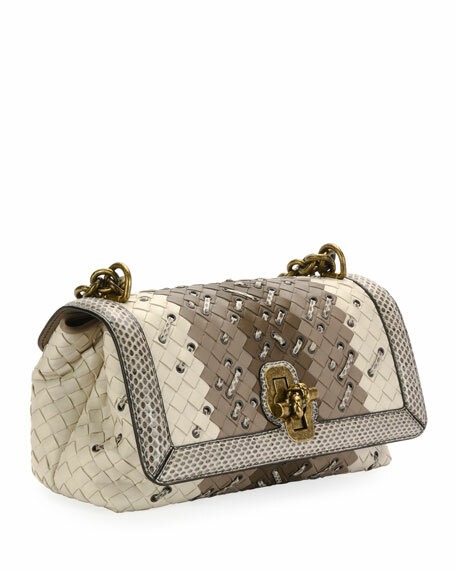 Flap top with signature knotted turn-lock closure. 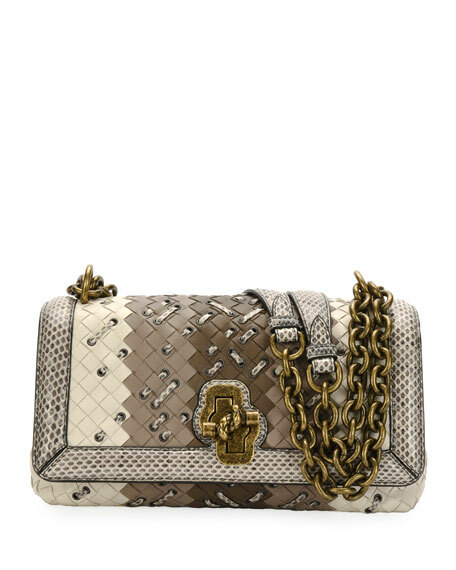 For in-store inquiries, use sku #2588141.